Beyond the Genome, a top-notch conference hosted by Genome Biology and Genome Medicine, took place at the beautiful Mission Bay Conference Center right here in San Francisco last week. There were lots of great highlights from the event. We were pleased to see the opening day focus so heavily on single-cell genomics. Nicholas Navin from MD Anderson Cancer Center gave an overview of this burgeoning field, sharing recent studies and walking through challenges such as assembly and distinguishing real biological variants from technical artifacts. 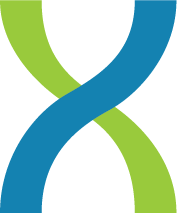 This wasn’t new territory for us: one of the user-contributed apps on DNAnexus is a tool called SPAdes, a genome assembler designed specifically for single-cell studies. It has garnered lots of attention with single-cell and metagenomic studies for its ability to properly assemble DNA reads that other assemblers have trouble with. Looking ahead, scientists like Sunney Xie from Harvard spoke about moving toward studies of DNA and RNA from the same single cell. The final day of the conference was devoted to informatics, so of course we were especially eager for those talks. Speakers highlighted best practices in genome assembly methods, comparing several different available tools. One of the reasons we think it’s so important to offer as many of the leading solutions as possible through the DNAnexus platform is precisely for this reason: scientists should be able to effortlessly compare the performance of various tools on their data sets. We also gave ourselves a pat on the back during a talk from Chris Dagdigian at BioTeam; he noted that Amazon has a multiple-year head start in cloud computing compared to most other providers. We looked long and hard before selecting Amazon Web Services as our cloud source, and it was nice to hear from an outsider that we made the right choice! The final keynote came from genomics luminary David Haussler at UC Santa Cruz. He spoke about the new Global Alliance, encouraging data sharing and standardization methods to facilitate that. He also cited the need to get rid of silos that are keeping research data separate from clinical data. In a look at cancer genomics data, Haussler said cloud computing was necessary to conduct analysis in such large-scale projects, and that choosing a cloud-based solution allows users to bring computation to the data, rather than slowly and painfully moving these massive data sets to the tools. We heartily agree. Next Next: See You at ASHG — Lunch Is on Us!